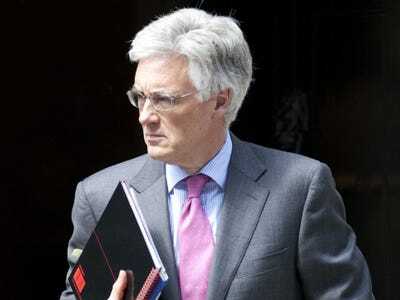 Lord Adair Turner, the chief financial regulator charged with herding Britain’s shattered financial sector, sat down with Business Insider recently to give us his take on the state of the world economy. In that same conversation he offered us his pessimistic views on the state of the eurozone, too. Turner’s warning of a secular stagnation for the UK is nothing compared to his grim diagnosis for Europe. The threats Turner identifies from extremely high household debt levels in the world’s advanced economies are small beer in comparison to the dangers he thinks is facing Europe’s currency union. And Germany is a huge part of the problem. Business Insider: Given your views on the state of the UK economy, what do you think about the other parts of the developed world? Adair Turner: I think for a set of reasons, the US might be about to achieve a self-sustained takeoff without progressing to more extreme policy measures. They have been helped for instance by more deleveraging by actually writing off debt. Of course, one of the ways you can come out of a debt overhang without fiscal stimulus or monetization (having a central bank pay off government debt directly) is if you can actually write off debt… The US also did have higher fiscal deficits that Europe, much higher. BI: And what about the Eurozone? AT: I think the Eurozone without a different policy is condemned to another decade that looks like Japan in the 1990s, but it’s actually much more worrying. I think Japan in 1990 was already one of the richest economies in the world, it is culturally and ethnically homogeneous with no immigration flows, no internal ethnic or religious divides. It has managed to continue to grow, albeit slowly, and it’s still a rich place. It has the beginnings of a population decline that means that growth has been combined with low unemployment. 360b / Shutterstock.comGerman Chancellor Angela Merkel. Lord Turner doesn’t think much of Germany’s views on the macroeconomics of the euro crisis. Now there are huge unanswered questions about what is going to happen to Japan’s large debt pile, but the social and economic experience here has not stressed the Japanese political and social system. It think if you put the same pattern of 10 years of slow growth and deflation and lack of escape from debt overhang into a Europe, which is divided by countries which can then play elements of nationalism against one another, with large immigrant communities of different ethnic and religious mix which then creates the possibility of tensions which are bound to get worse if the economic circumstances are bad. With very significant and I think uncontrollable immigration flows across the Mediterranean, from parts of the world which are in chaos, I’m really worried that this is a formula for real social stress, high unemployment, populist political responses which then generate a radicalization of the minorities of which they are a response. I think we’re playing with fire. In that environment, by closing the door on even funded fiscal policy, let alone the monetization that I’m talking about, I think we could do terrible things to the future of Europe. BI: One of the big economic news stories recently has been that the German economy is slowing. What do you think about their place in Europe? AT: Although I have huge respect for what Germany is as an economic success, a very strong political system…. And I entirely understand their fears of high inflation, etc., I think the predominant German attitude to macroeconomics is simply wrong. There’s a failure to deal with the fallacies of aggregation that are at the core of macroeconomics. 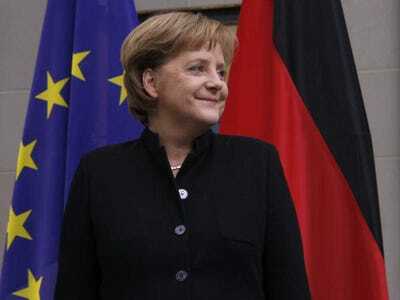 It is not possible for the whole world to succeed in the same way that Germany succeeds. We cannot all be export led economies. We can’t all run surpluses unless we find another planet.